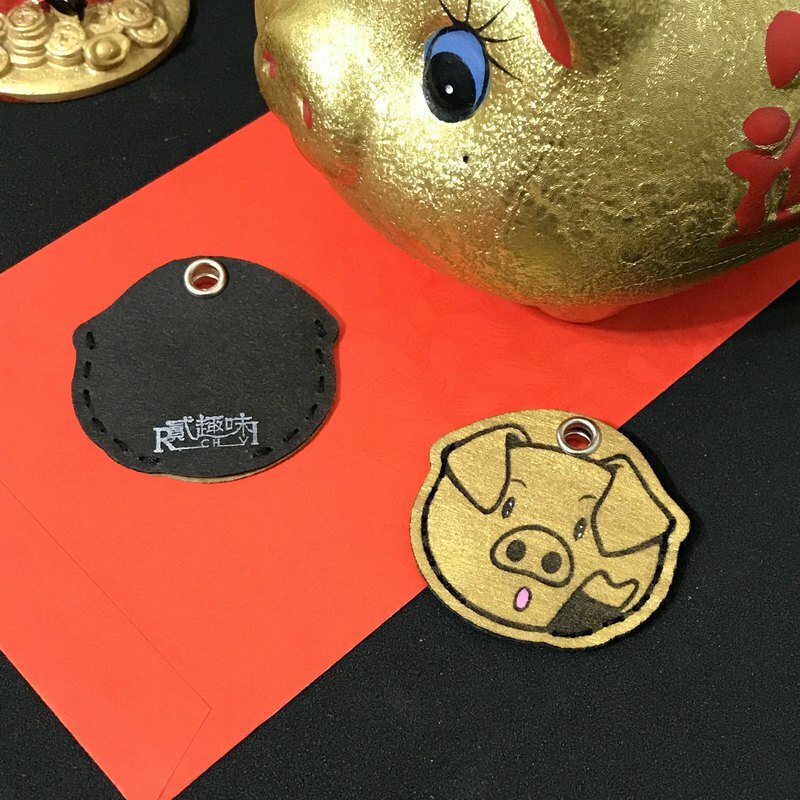 Golden Pig Announcement Key Set [New Year Special Edition - Gold] Golden Pig News welcomes the New Year, the Year of the Pig is a big luck, with a golden pig bag, your new year is full of money ^^ 2019 is the year of the pig, Therefore, the piglet will be released for the New Year special edition! Can also be mounted on shoes as a shoe ornament Or as a key ring or a hanging bag! The key cover is cut with "washed kraft paper" Draw a pattern and then stitch it by hand & hit the metal ring The key cover allows you to get the keys more handy. Name: Golden Pig Announcement Key Set [New Year Special Edition - Gold] Place of Origin: Taiwan Material: washed kraft paper, hardware, cotton thread, acrylic paint Size: 9x9cm (bag) Product size: 4.2x4cm Weight: 10g ※Handmade goods, each group will be a little wrong with the photos! If you are concerned, please do not order, thank you.